Today we welcome James Sieczka from Noise Boys LLC. James experience is extensive, working in Asia for many years and learning from Greg Curda and Emmy winner Les Wolf, he returns to the States to partner with Noise Boys LLC. 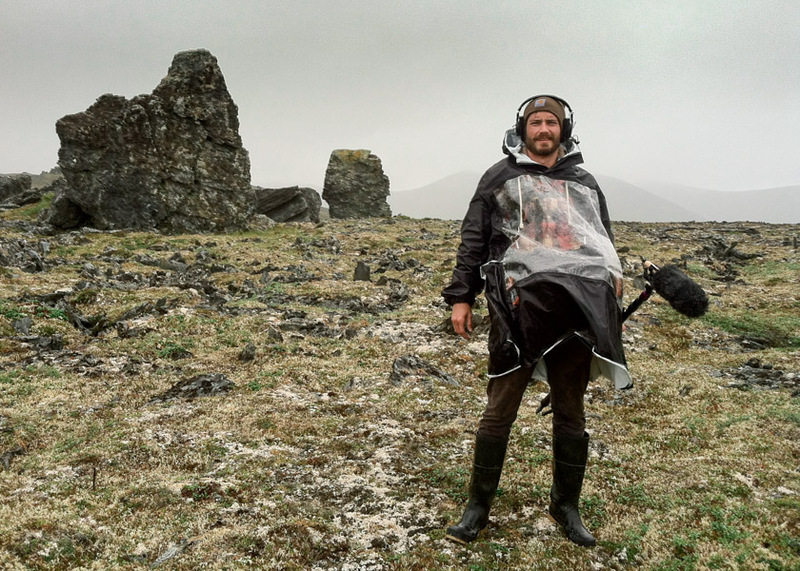 We learn how he combines his knowledge gained from Documentary into TV & Feature Film productions to crack some of the tougher technical challenges that come his way. Where are you based, what you do and who are the Noise Boys LLC? 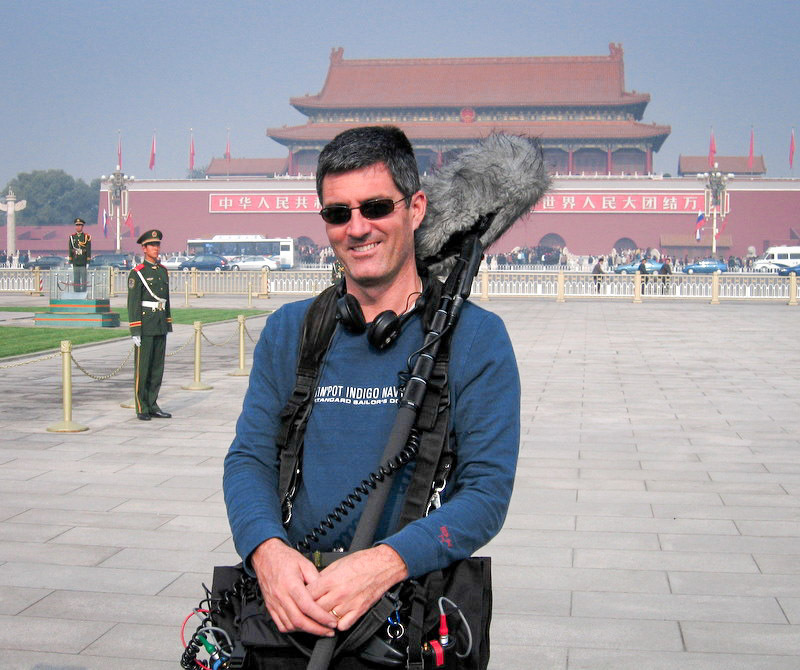 My name is James Sieczka but most people call me “Jimmy” or “Soundguy.” I grew up in Chicago and attended Columbia College Chicago for all my Film/Sound Training. When I finished school I immediately moved to LA. After 3 years there, I felt the need to travel the world. I got lucky and landed a job in the Philippines at a film studio working as their in-house production and post-production audio mixer. 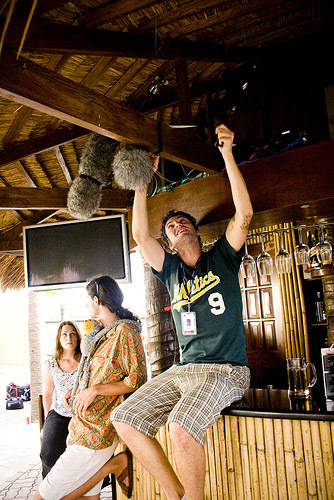 I also split my time as a mixer to teach sound at an international film school in the islands. I spent 5 amazing years there working, teaching and learning from some of the top production/post production mixers in the game. Oscar Winner Greg Curda and Emmy Winner Les Wolf helped shape me into the mixer I am today and I’m forever grateful for their teachings and advice to always maintain a good sense of humor. In 2013, I decided to move back to the states. After 8 months, I met business owner and operator David Macaulay Flynt of Noise Boys LLC. We hit it off immediately. Within a few months, Macaulay asked me to join his company Noise Boys and create a partnership that has been going strong ever since. 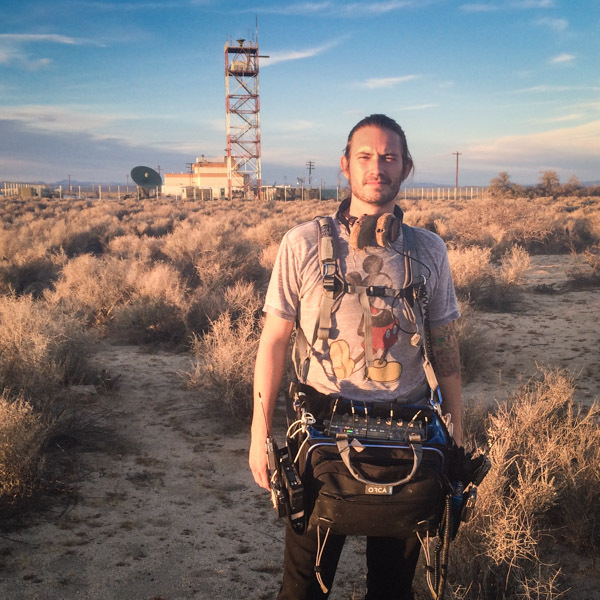 I’m currently based in LA now and primarily work on “run and gun” adventure shows and occasionally swing boom on feature films. I knew at the age of twelve that I wanted to spend the rest of my life working in film industry. How did you get into the Film & television industry? I knew at the age of 12 that I wanted to spend the rest of my life working in film industry. That’s when I met Paul Matian (Producer at Leo Brunett Agency) and together with some friends we started making skateboard movies. We kept the dream alive and 10 years later, I decided to move west and Paul stayed in Chicago to start a career working in commercials and film. I arrived in LA as a kid with little direction and only a few friends working in the business. My first job there was working at a Post House doing dub work, scratch removal on old films and basic secretary work. It was long hours, little pay and lots of responsibility with no potential sound work on the horizon. After 8 months in LA, I was still looking for audio opportunities so I could finally leave my job. Out of nowhere, a friend invited me to a wrap party for some networking where I met a camera operator that worked for a small production company in Burbank. By the end of the night he gave me a number to a production coordinator and said “Call this number and in a month, you’ll have a job as an audio mixer. Tell them Malibu referred you.” Later I made the call, quit my current job, and started the next day as a day player on “Fear Factor” and a number of different LA-based TV programs. This was the point that I officially became a working Sound Mixer. 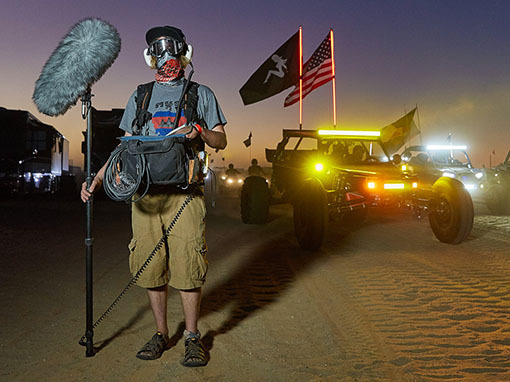 What is a typical day like as a sound mixer on assignment? 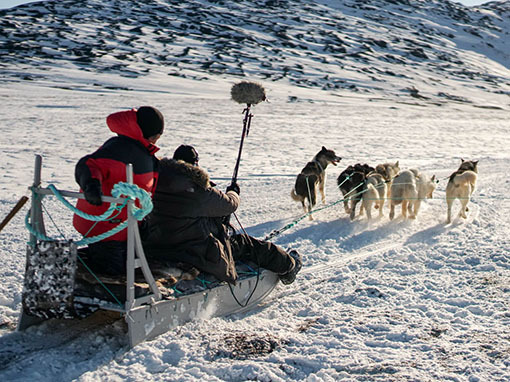 It really all depends on the gig and the conditions the crew will be working in. One thing that always remains constant is gear because it never hurts to be over-prepared. For example if I know I’ll only be working on interiors for the day, I’ll still bring all my microphone accessories like my Rycote Softie, Super Softie, Cyclone and Zeppelin Windshield. Some mixers think its overkill but there was a time where I was scheduled for interiors and the producer decided to add a quick exterior shot, on a rainy windy day. The producer knew he could save some cash for production using the rain versus bringing in rain machines and generators on another day. By the end of the day the exterior was scheduled and I was stoked I had my Rycote Zeppelin and Windjammer. Otherwise I would have lost a mic trying to capture the dialogue in the rain without the right protection from the elements of the outdoors. I see you’ve worked on several projects with National Geographic, the Ice Holes and Filthy Riches series and Discovery’s Naked and Afraid. Can you tell us a little about these shows? 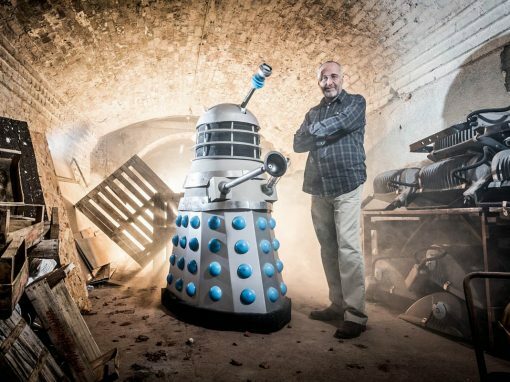 Looks like there were some interesting characters to record, did you get to know any of them personally? These shows look like they could pose some tricky technical challenges, Ice Holes with unpredictable wind changes and sub zero temperatures. How did your kit stand up to this environment? Every show gives you an opportunity to get to know the cast personally. Besides the director and producers I tend to have the most contact and face time with cast since I’m having to mic them daily and make adjustments on them throughout shooting. During principle photography I keep any conversation that isn’t related to the show to a minimum, but once the show is completed I certainly have kept in touch with some cast members. 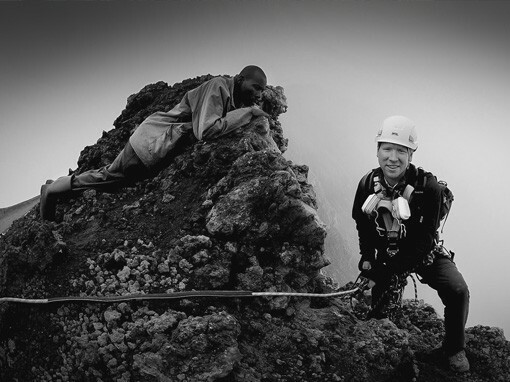 Shooting adventure shows poses a lot of technical challenges when in the field. For example, NatGeo’s Ice Holes was extremely difficult and dangerous to shoot. 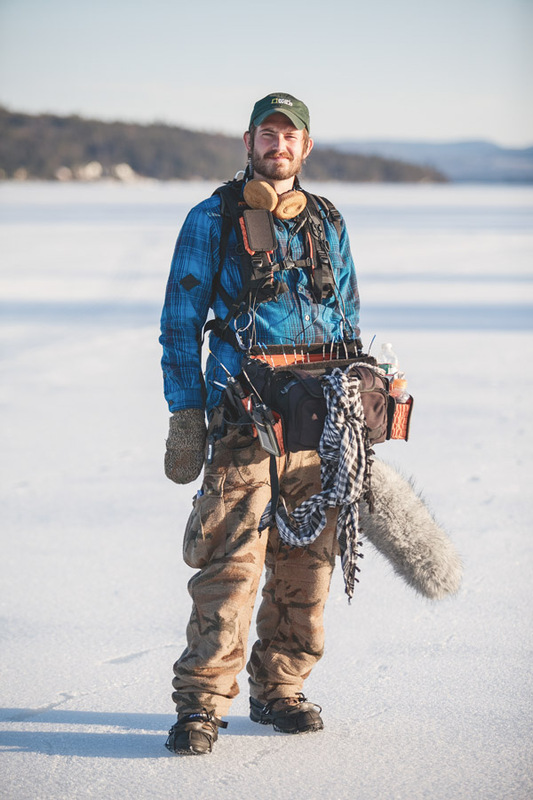 The entire show was shot on several frozen lakes as we followed cast members through various ice fishing challenges and contests. Temperatures were as cold as -45 F in some locations as well. 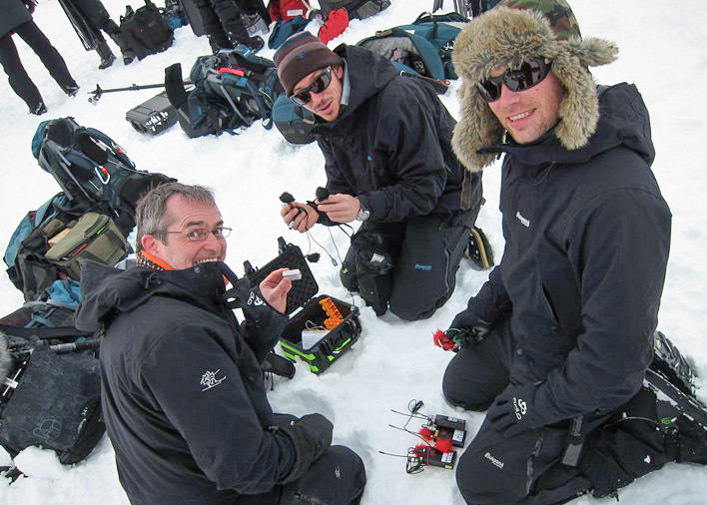 Some of the biggest challenges were the weight of all of the clothing and gear, mobility through thick snow, and creating a mix while wearing thick gloves that slowed down your movements. My Rycote Zeppelin was crucial to this project since it was hard to get a good recording from our lav’s due to the high winds and heavy clothes worn by the cast, which made most of the lav’s unusable. Without the Zeppelin it would have been impossible to get as much usable audio as we did. Naked and Afraid by far is one of the most challenging shows I’ve been apart of but shooting has been some of the best experiences I’ve had in my career. Some of the scenes in Naked and Afraid have the cast wading through mud, water, rain and high winds, how was it following these guys with all the camera and sound recording kit? Did you mic them up with a transmitter or follow them through the mud with a boom? Naked and Afraid by far is one of the most challenging shows I’ve been apart of but shooting has been some of the best experiences I’ve had in my career. 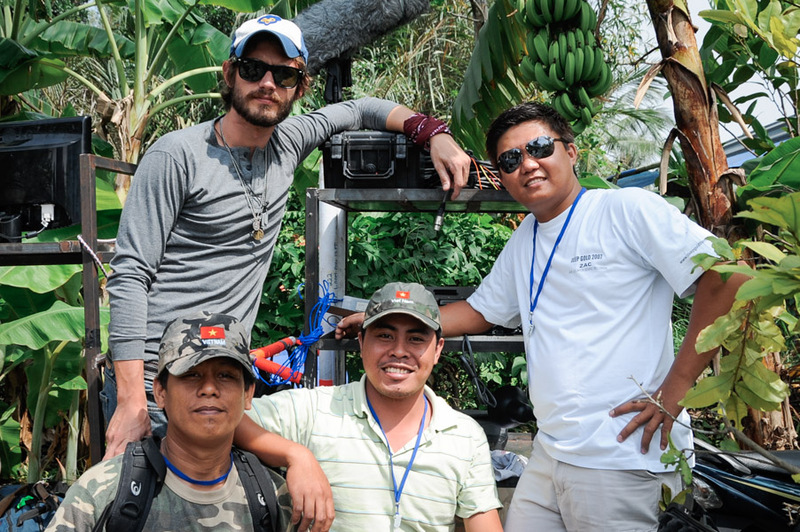 Just being apart of the production crew alone is like winning the lottery since the crew is extremely small, which allows production to move seamlessly through extreme jungle environments. For this show, talent is always mic’d for principle photography. I’m sure some people reading this may be wondering if the are naked, where is the mic? To answer that question, the mic is actually hidden and braided into the necklace that the cast wears around their neck. Then the wire is ran through the seam of the bag worn on their shoulder, which has a small pocket in the bag that the waterproof transmitter lives in. Even though the cast has mic’s on them at all times I still use the boom whenever possible to give post-production as many options as possible for useable audio tracks. 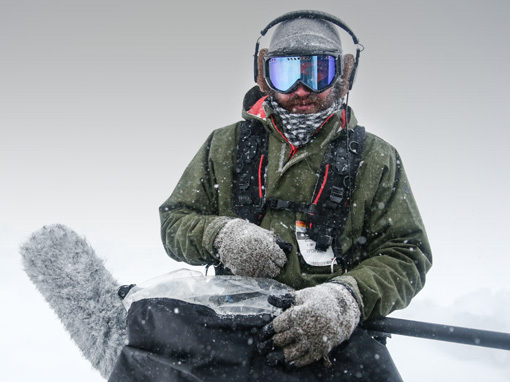 The Rycote Cyclone really came in handy for a lot of the Naked and Afraid shows I’ve worked on. The design is flawless and is a huge step up from the previous Rycote Zeppelin. Changing out mics can be done in seconds now with the Cyclone and this was a huge advantage when working in the jungle when weather can change in the blink of an eye. You’ve also worked on some film sets, I’ve noticed with film in general is all the incidental sounds that accompany the dialogue, which I guess adds an important part in building tone and context for a particular scene. Do you grab these as the acting is happening or do you record incidental background sound separately and edit them in at post production? 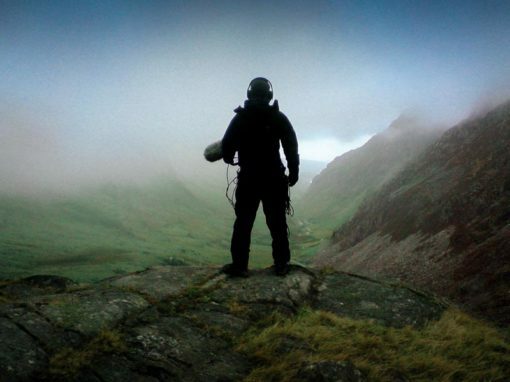 Also how do you deal with unwanted noise on set? How do you deal with these technical challenges? When working on films the most important part of production sounds job is dialogue. My mentor Greg Curda always use to tell me that, “Dialogue is king!” “If you can’t hear the dialogue you don’t have a film.” I’ve learned to live by his words and advice and strive to focus on getting the best possible dialogue track for every given situation. With that said, there may be some incidental or production effects going on within a particular scene. Depending on the setup-time allowed for each scene, I’ll try to get a “plant mic” to cover a particular sound that is going on within the scene, especially if the sound is taking place off screen or at a distance from where the principle dialogue is coming from. It never hurts to over-record, especially since all recordings are done on digital recorders and the days of tape-based recordings are gone. In regards to all of the technical challenges on set with unwanted noise, you have to keep your sanity, always remain calm and trust your instincts. There are so many variables happening when shooting it’s almost impossible to prepare for every situation. Some of these variables include location changes, noisy lights, squeaky dolly tracks, traffic, micro-budgets, and crew egos…just to name a few. At the end of the day they all potentially play a role in obstructing a clean dialogue recording. So what’s the solution then? Show up to work with a good attitude, a smile on your face and always be prepared with the tools that make your job easier. Over pack your kit whenever possible because you never know when production might throw you a curve ball. Be passionate, give thoughtful advice on how you can make the picture better with a certain microphone setup and always remember it’s a collaborative effort to get to the finish line. And above all else love what you do as a sound mixer or don’t do it at all. There are plenty of talented people waiting in line for a shot at the next gig. What are some of your proudest accomplishments and favorite assignment? I’d say my favorite gig took place on the set of the feature film “The Taking of Deborah Logan.” It was a found footage film and was shot mostly hand held “documentary style”. The entire film was scripted but there was a lot of ad-libbing that made it challenging to boom and catch every line. Thankfully with my reality and documentary background in production sound, the bulk of shooting came very natural to me since I’m use to working on “non-scripted” shows and having to anticipate who is going to say what line next. The entire cast and crew on “The Taking” was unbelievably talented, supportive, and positive. Every single day was more challenging than the next, but at the end of day we all seemed to leave with a smile on our face and we were excited to get back at it the next day. This was one of the first times in my career that the overall experience, friendships made, and finish product left me thinking, “this is why I got into filmmaking.” By far, it was my proudest accomplishment. Having to mic talent is like having to do the world’s most difficult math problem in under 2 minutes. There’s an infinite amount of wardrobes to be worn and changed throughout one shooting day and there is also an infinite number of ways to mic the talent. What has been your biggest technical challenge, how did you deal with it? I think my biggest technical challenge happens on each and every production and that challenge would be mic’ing talent. Having to mic talent is like having to do the world’s most difficult math problem in under 2 minutes. There’s an infinite amount of wardrobes to be worn and changed throughout one shooting day and there is also an infinite number of ways to mic the talent. The key is understanding how the clothes will be worn and what materials produce unwanted noise while adapting your mic setups so they can seamlessly record and be unseen from the cameras field of vision. Another potential challenge is working with different types of actors. Each actor has a different experience level and preference in how they want to be mic’d. With that said, how they want to be mic’d isn’t always the best way for sound. Being respectful to their needs, coming up with solutions on the fly and upholding a high level of professionalism is paramount for a long and healthy career. What’s in your kit bag and why? For my bag I use the Orca OR-41, which is a super lightweight aluminum enforced bag. It’s easily accessible from any of the 4 sides to make adjustments to all of your gear and cabling. This is a feature I haven’t seen done this well in any other bag and was a huge selling point for me. All of my recordings are done on the Sound Devices 788T 8-track recorder. 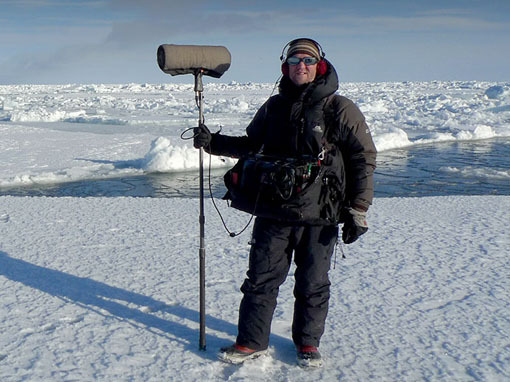 It’s an absolute beast and workhorse when it comes to recording in various climates and weather conditions, which is always changing in my line of work. For my wireless mics I recently upgraded to Wisycom’s from Lectrosonic’s but I still use Lectro’s for all of my IFB transmitters and receivers. Depending on each application I have both Countrymen EMW’s and Sanken Cos-11’s for my Wisycom Transmitters. This is made possible by one of the most important accessories I have in my kit, the Rycote Softie, Super Softie, Zeppelin, and the new Cyclone. 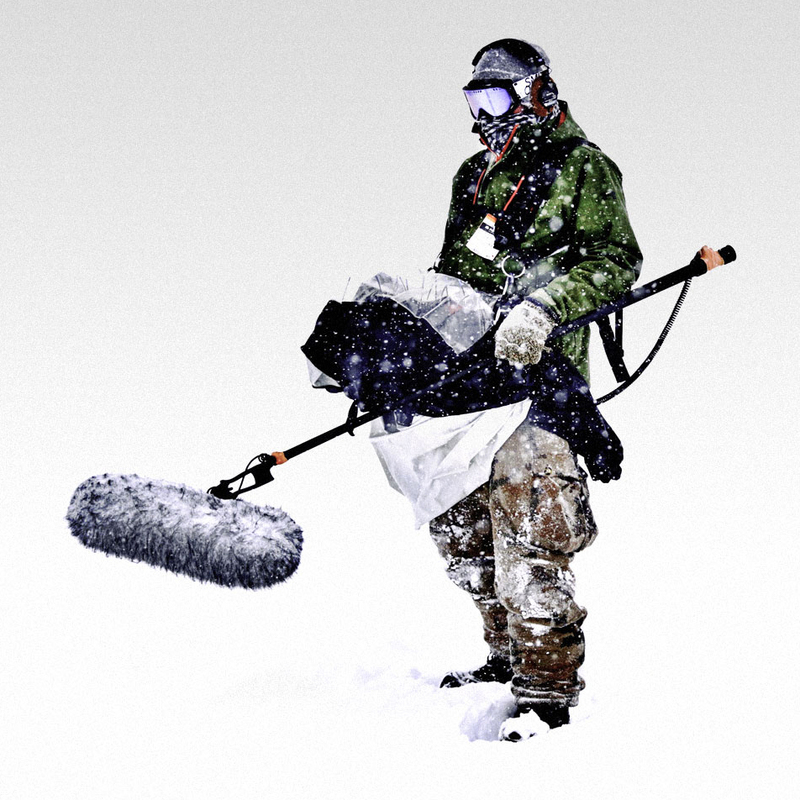 Each work in their own individual way to help capture the cleanest dialogue possible in extreme weather conditions. Without any of the Rycote products that I own and use daily it would be impossible to do my job and record anything useable in my line of work. How have you seen the Film & TV industry change over the last decade, what do think the future holds for the industry? Over the last decade I’ve seen a lot of changes and developments in the technology and gear used in all aspects in film production. Thankfully when it comes to sound it seems like recording devices tend to change much slower than cameras do, which makes it easier for people to invest in a recorder versus investing in a camera that will be obsolete in 6 months to a years time. The days of camera operators owning there own gear seem to be a thing of the past, where as sound mixers still have the ability to be owner operators, which is great for my line of work. Another thing I’ve noticed over the years is professional video and audio equipment is much easier and cheaper than ever to get your hands on which is both good and bad. Today almost anyone can get their hands on gear to shoot and record their passion project, but on the flip side this has flooded the market with filmmakers, making it ever harder for kids to get into the business than it ever has been. I was always told in school to pick one aspect in filmmaking and focus just on that. I did the complete opposite. 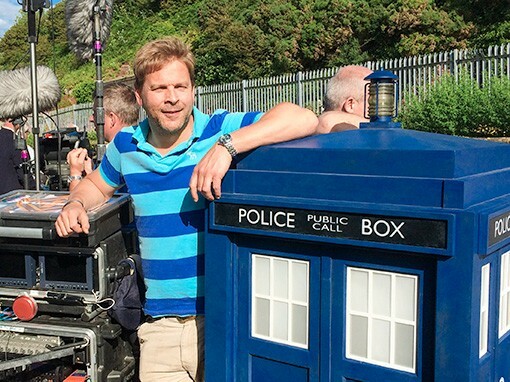 What advice would you give to someone new looking to get involved in the Film and TV industry? A bit of advice to anyone that may be interested in getting into the Film and TV Industry? The most important of them all is to follow your heart. I was always told in school to pick one aspect in filmmaking and focus just on that. I did the complete opposite. I minored in acting, took directing and producing classes. I realized I was never going to be a Gaffer or DP once I took lighting classes and understood how much my color blindness affected my lighting capabilities. All of these different skill sets that I learned through schooling and practice helped me be the sound mixer I am today. None of my small but rewarding accomplishments happened over night. It took years and years of struggling and trail and error to get to where I am today. After 11 years in this business I can honestly say I’m not even half way to where I want to be professionally. What are looking forward to next in your career? I’d say what I’m most looking forward to in my career is transitioning from TV and breaking into the big budget Hollywood film market. I want to rub elbows, exchange ideas, and help the biggest and best filmmakers in the world make their vision become a reality. And now that I have joined I.A.S.T.E Local 695 (Sound Union), I’ll have the opportunity to finally have a chance to get work on some big studio pictures.